Photo of Sam Razook, approx 1920, Razook Bros. 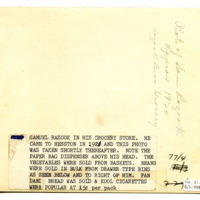 Grocery -- handwritten on back of photograph. 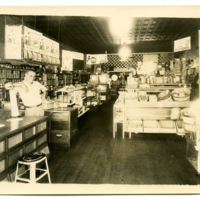 “Samuel Razook in his Grocery Store, 1920,” Hesston Public Library, accessed April 25, 2019, https://hesston.digitalsckls.info/item/1375.